“Art Deco” is the name of a style era that bloomed after World War I. Everything from fashion to interior furnishings and household appliances to cars were influenced by this glitzy, high-tech style. The aesthetical intent of this era was for people to believe in a technologically-advanced future of glamour and luxury. The Art Deco look is heavy with geometric patterns, dark colors like satin black and emerald green, and lots of gold. 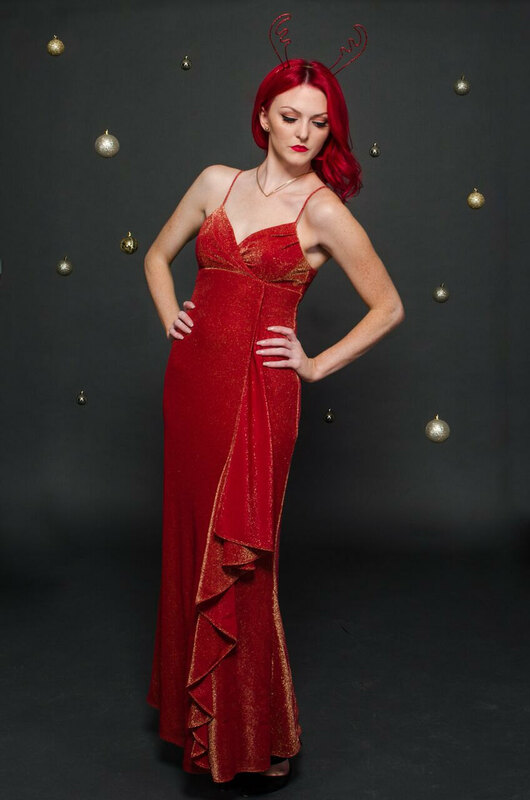 Velvet is very prominent, as are shapes and tones of jewels, which give the appearance of wealth and tangible success. Today, Art Deco is still a very popular style in both fashion and interior decorating. 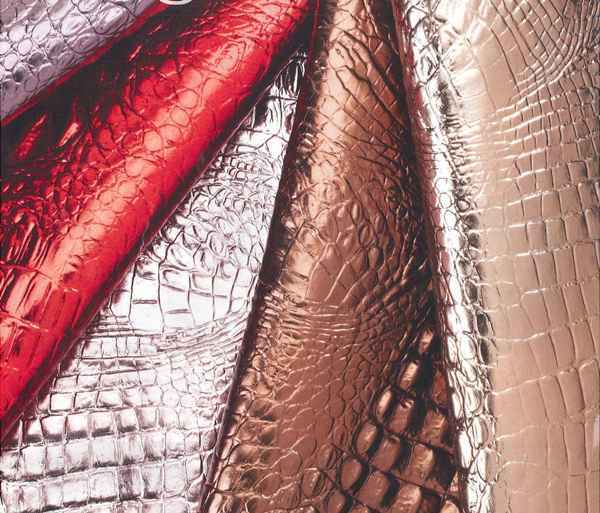 The last few years in particular boasted trends of gold, velvet, and glittery details that seemed to be as fresh and prominent as they were in the early 1900s. At this point, the ultra-flashy parts of Art Deco have arguably fallen to the wayside a bit, and a softer and more relaxed "retro" has filled in the gaps. Softer color palettes with more subdued and velvety hues have replaced harsh shapes and flashy textures. The glitzier parts that were in our faces for so long have had their time and are now retiring into a more mature and elegantly-sophisticated look. Currently, my favorite trends and ways of decorating include simple, classic, modern, and somewhat minimalist bases with Art Deco-inspired details and flares throughout. The "Millennial Pink" fad has lent itself perfectly to this trend. Now, Art Deco feels fresh and sweet, yet it remains a very unique and retro style. New trends have come into play, but for as long as "Art Deco" lives, its characteristics will be unmistakable. In fashion, interior decorating, and every other aspect, this is one trend that I truly hope never dies. Always wondering why you keep breaking out on that one spot on your forehead or near your lip? These tips will help you to prevent and understand these breakouts! If your always on your phone or touching your face, your face may be breaking out quite frequently. Wiping down your phone every couple of days or washing your face every night can reduce breakouts. Heart or Blood Pressure could be an underlying issue. In your diet are you eating more sugary foods? Cutting back the sugar can help as well. Allergies or polluted air could be effecting your heart and your skin. Even adding some plants to your home could make a difference. Unfortunately, breakouts here cannot disappear forever, but they can be minimized. If it is that time of the month of close, chances are that is why your face is breaking out. Your hormones are spiraling out of control. Try to eat better foods and take care of your skin more during this time to help yourself regulate. If the pimples show up here, this is connected to your digestive system. Your body is not breaking down the foods properly. So, by eating foods that contain more enzymes, could help your body digest properly. This can show a liver problem due to stress and irregular sleep. This can be prevented by getting about eight hours of sleep and balancing out your week. Had greasy food last night or the past couple of days? Then that might be the reason for the breakouts. Sometimes drinking lots of alcohol could make you breakout in these areas too. This can be a easy fix by choosing healthier foods and cutting back on the bad ones. Happy Memorial Day, and happy summer! As the hottest and most invigorating season kicks off, fashion really comes alive with bright, bold colors and festive prints. Why not add a little pizzazz to one more small but mighty part of your look: your nails! Solid colors are sweet and simple, but here are six ideas to try this summer to give your busy fingers a little boost. Let these oh-so-glam gals take your imagination to another place—maybe Pablo Picasso’s hometown of Barcelona? Stick with this chic black & white duo, or spice it up with some brighter shades. Tip: Try using a nail art pen for manageable lines. Bring some vintage flare into your look with these 60s & 70s-inspired flower motifs! Use any solid color as a base (clear looks great) and have fun with colors and designs. Tip: Let each layer dry completely before moving onto the next! Carry teeny pieces of nature with you wherever you go and use real flowers! Place petals of dried flowers over a dewy coat of clear polish in a design that suits you, and simply add another coat of clear overtop to polish everything off. Tip: While some flowers may be too big to use, take smaller petals and fragments of flowers to create a floral shape and design. For a playful and dashing look, start with a base color of your choosing and have fun with some lines and shapes. There are no rules to this look! Use your favorite colored nail art pens or fine-tip brushes and let your imagination free. Tip: Use tape or flat edges to get straight lines. Trace a sequin, paperclip end, or anything else small and round for circular shapes and lines! While glitter-based nail polishes are easy and fun, try your hand at designing your own glittery look. 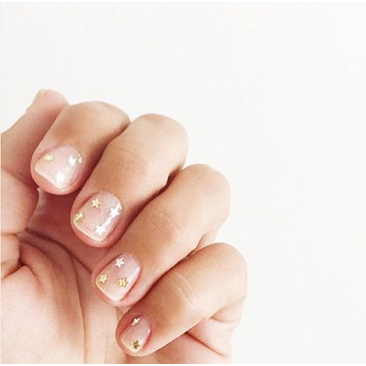 Using a nail tool, pen, or any other pointed utensil laying around, add star (or other shaped) sequins to a still-sticky coat of nail polish. Cover with a layer of clear polish for shine and a solid hold. Tip: Place the sequins all around the nail, or try just one at the top center of the nail for a minimal and chic look! Put a twist on a standard coat of nail polish and create diagonal lines! Place a piece of tape diagonally across each fingernail (Scotch tape works just fine) and paint with any color right over top! Start with either a clear coat as a base, or use a second color for a fun two-toned look. This design is so summer in such a simple way! Tip: Wait extra, extra long for each coat to dry over the tape before peeling it off. Removing it too early will result in jagged lines. Clean-cut is everything for this look! Tip 2: Create the diagonal lines anywhere on your nails! A line lower down could give a modern spin to a classic French manicure. How Long Will Your Clothes Last? Happy Sunday! While your enjoying your memorial day shopping deals, do not neglect the quality of your clothing. 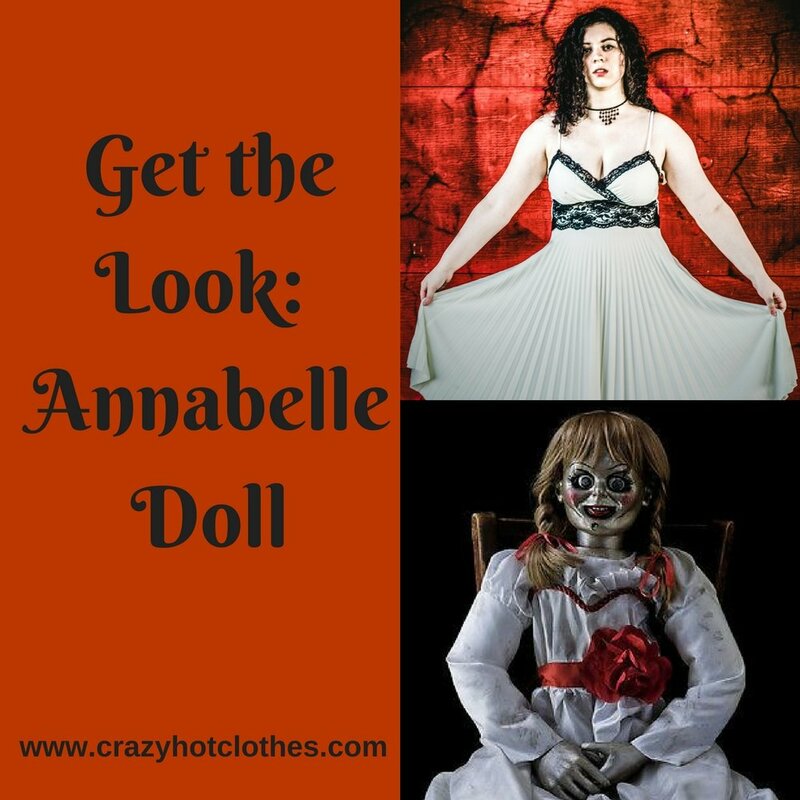 Follow these tips to look out for quality clothing that will last you years instead of weeks! Check around the pockets or anywhere to make sure it matches horizontally and vertically. It may cost more, but proves to have better quality in the material. Plus, to make sure to check the seams to see if the fabrics too. This defines high quality clothing because stitching should be straight and matching. Natural Fibers are more authentic, stand up to wear and tear better then synthetic materials. Light: Hold the clothing to the light. The denser or harder it is for light to travel through, the better the quality. Pull: For skirts or dresses, does it retain shape by gently tugging on it? Scrunch: Grab the fabric or clothing in your hands making a fist. Hold it for a few seconds, then let it go. If it can't stand being wrinkled in your hand, it won't withstand the test of time. Wearing rompers is a trend that has come and gone from era to era, but it is a trend that has not and does not seem as if it will fade. The reason why the romper has been a continuous trend over the years is because it has never seemed to go quite out of style. A romper is a one-piece outer garment for adults, that are typically worn as overalls and/or jumpsuits. The romper incorporates trousers and a top all-in-one. Rompers date all the way back to the early 1900’s, where they began as children’s clothing. The purpose of this piece was so children could play in them. These items were known as the “go-to play clothes” of the twentieth century. Rompers continued to be popular in the 1920’s. Young, stylish women started wearing this outfit regularly. The romper was known to be a chic alternative to a blouse and skirts, and could be dressed up or down depending on the fabric that was used. That was not the end of the romper era, though. In the 1970’s rompers picked up action in full-speed. Becoming more casual, rompers typically were made of terrycloth and were often styled as a tube top. This style could easily be dressed up or down. When rompers hit the 1970’s, that was a defining moment in fashion history. The 1970’s were full of flamboyant and bold fashion statements. It was a super fun fashion era that encouraged patterns and bright colors. The romper was most remembered from the 1970’s fashion era due to the “hippie vibe” that it gives off when people wear them. There have been plenty of looks that have been revived time and time again, and a huge culprit of this would be rompers. Rompers are extremely pertinent in modern-day fashion. There are multiple reasons why this type of outfit is still in style today. First, it is extremely versatile. There are many different style combinations that you could approach while wearing a romper. With most rompers, people are able to wear them with both flat sandals and high heels. Rompers are such a prime staple in wardrobes. With the right accessories, jackets, shoes, layering, etc., rompers can be worn on multiple occasions. Buyers will definitely get a bang for their buck! Second, this outfit it very trendy and is a great example of vogue. When something is “vogue”, that means that it is popular or fashionable. Rompers have become such a fashion trend that even men are wearing them! Third, rompers exceed the expectations of comfort. Not only is the fabric comfortable, but people, overall, feel a lot more comfortable while wearing this outfit. Not only do you feel free while wearing it, but you also feel covered. Unlike dresses, you are able to sit in Indian style, or even bend over to pick something up, while wearing one. Lastly, it is a fun and unique outfit. With the versatility, and the many different patterns and shapes that they come in, not one romper is alike another. You could be defined as a city slicker, a business woman, and even a hippie while wearing this type of outfit. Versatility is a hard achievement for everyday outfits. 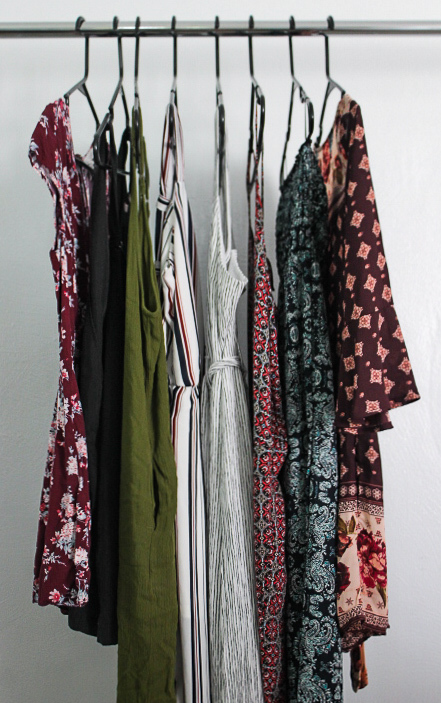 Let’s make sure that rompers are not collecting dust in our closets. Let’s make sure that rompers are not only seen on fashion Instagram posts. Let’s make rompers apart of our everyday street wear, incorporating different fashion techniques to dress the outfit up or down. For months and months, the biggest question in fashion has been “What wedding gown will Meghan Markle wear to marry Prince Harry?” As Meghan stepped out of a vintage Rolls-Royce Saturday morning to ascend the steps of Windsor Castle and walk down the aisle to her groom, all eyes around the world were on her and the hand-made, one-of-a-kind Givenchy gown falling elegantly from her shoulders. In royal life and long before, Meghan has always been known for her sense of style, and as is the case with every royal bride, as much attention is paid to her style as it is to her humanitarian work and lifestyle. With such an impeccable sense of style, and considering that she’s being dressed by the best of the best around the world, we should be paying attention to what she’s wearing. After all, people like her are often who determine what many of us end up wearing. However, as is the case with all aspects of fashion, what Meghan chooses to wear is so much more important than what the clothing looks like. Where each garment comes from, who makes each garment, and what resources are used to make each garment are crucial in considering what to wear. Whether you're a fan of her style or not, Meghan Markle should absolutely be an inspiration and fashion icon to many, particularly because she cares deeply for each of these considerations and makes huge statements with many of her ensembles that go far beyond their exterior aesthetics. As every royal occasion requires the perfect ensemble, the pressure for Meghan to wear the right clothing must be quite high. But as someone who has been speaking out about equality and women’s rights from a very young age, the fact that Meghan would often choose to wear clothing of thoughtful designers is no surprise. On many occasions, Meghan has worn ensembles by vegan and sustainability-advocating designer Stella McCartney. The very reception dress that Meghan wore after marrying Prince Harry was a Stella McCartney original. Meghan’s wedding dress was also incredible, and for more reasons beyond the way she looked in it—the Givenchy one-of-a-kind was designed by the first ever female director of Givenchy. As an avid feminist, it is no surprise that Meghan would decide to have the most important garment of her life created in such a way. The very simple truth is that the fashion industry needs to change, and it needs our help. 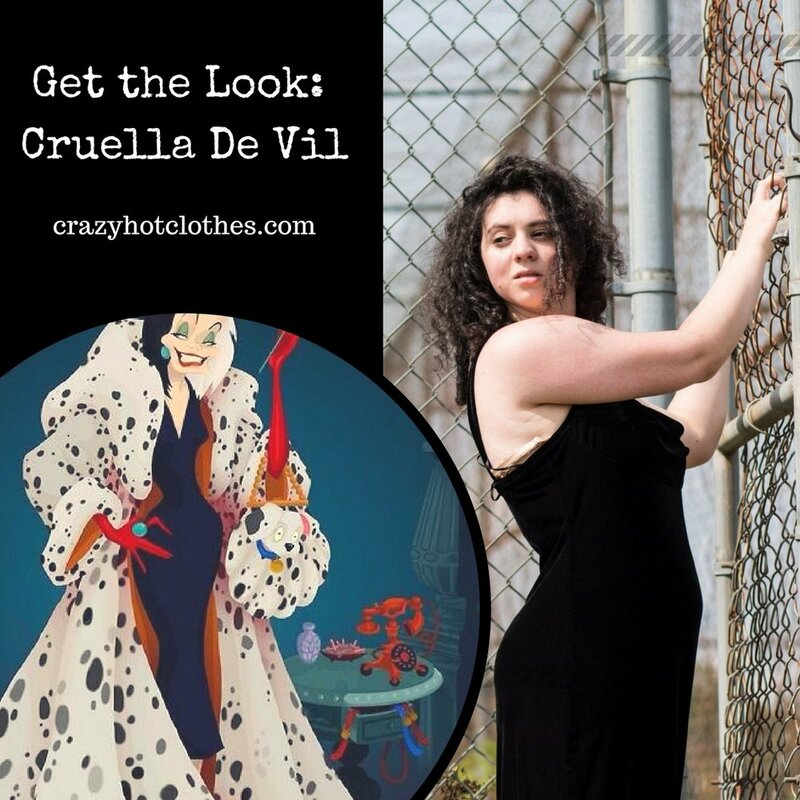 In the past decades, the path of the industry has taken an extremely sharp turn toward toxic fast fashion, which is monopolizing the industry to the point of world-wide destruction at the cost of the planet, people, and animals. For many people, “sustainability” is a huge word that means a little too much to comprehend. Just like anything else that will yield positive changes, practicing sustainability takes time, effort, and dedication. Sure, not all of us are wearing Stella McCartney on a daily basis, but there are other ways. Pay attention to where clothing comes from, who is making it, and what your purchase of a garment (whether $5 or $55) will really cost in the long run. Make the effort to research different brands that use organic resources and fair labor. Pay attention to brands, whether up-and-coming or already established, that work for women’s rights and human rights. Shop vintage! 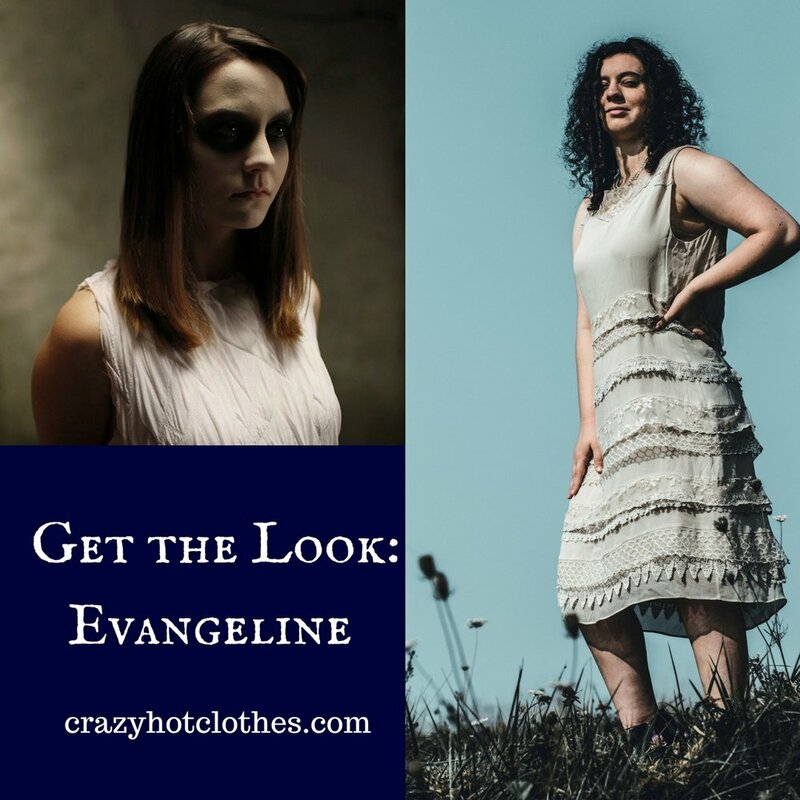 Use the history of style and clothing to inspire how you view modern fashion, and change your shopping practices to eliminate fast fashion and its cruel consequences. An absolutely amazing documentary that I highly recommend to anybody is called “The True Cost.” Just over an hour and a half in length, the depths of the fashion industry and its darkest, goriest secrets are explored, from the very beginnings of the production stage in cotton fields in Texas, to working conditions in factories in Bangladesh, Cambodia, and Haiti, to the consumption stage in retail stores around the world, and even to what happens to these non-recycled garments when we mindlessly throw them away. This documentary will open your eyes and at times leave you speechless. Making major changes in the fashion world is absolutely imperative, and there are endless ways for all of us to start small. As a new royal figure steps up to her well-deserved platform, I am beyond happy that Meghan cares so deeply and advocates for issues like the ones plagued by the fashion industry. So the next time that something Meghan wears catches your eye, take a minute to consider why she may be wearing that and where the clothing came from. Not everything she wears has hidden meanings, but as all eyes are on these clothes, it’s so important that at least some of them do. Summers are supposed to be fun-filled. It is supposed to be a season where memories are made. Going shopping, hitting up the movies, and eating at restaurants are things that you can do at any point in the year. That is why it is important to get yourself outside and create memories you cannot necessarily make during the freezing cold winter. To spice up your summer, here are 5 THINGS TO DO IN PITTSBURGH THIS SUMMER - Summer 2018. Every summer, there is ten days of free music and art that takes place in Pittsburgh -- this event is called the Three Rivers Arts Festival. This festival features live music, performance art, as well as visual art. Vendors from all over sell their art to buying customers. The atmosphere is amazing, as well as kid/family friendly. Don't forget to bring a blanket so then you can lay in the lawn and listen to live music. Market Square has found a fun way to utilize their space on Saturday nights. Pittsburgh Downtown Partnership (PDP) Night Markets bring to you an outdoor shopping market and festival this summer! Visitors will be able to experience some of Pittsburgh's independent vendors and will be able to tell what kind of city Pittsburgh truly is. Live music will be brought to you by the City Paper Stage, with different artists every weekend. There will also be artisan goods, games, food and more! WYEP brings to you a one-day Summer Music Festival this summer in Pittsburgh. Performing artists will be Langhorne Slim, Low Cut Connie, and Lyndsey Smith. This is a time for family and friends to hang out and enjoy each other's company; and to relax on a warm Saturday night in Pittsburgh. In many movies, Lanterns have been released and it has become a dream for some people to be able to do this with their loved one's or just themselves. It has always been an intimate thing, where people stare in awe. But, you do not have to wait until your wedding day for this to happen because Pittsburgh is bringing this right to you through The Lights Fest. It is an outdoor event, so make sure you bring your blankets and sweatshirts. The lanterns will launch at nightfall. This is a time to create memories and enjoy live music. Pittsburgh has a lot of marathons and 5K's, but one thing that it has never had is a music run. 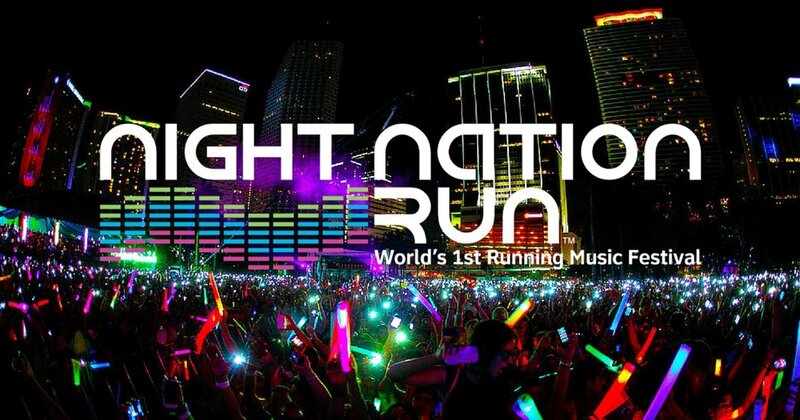 Night Nation Run is the world's first running music festival. It is a blend of a musical festival and a fun run! It is coming to Pittsburgh this summer. There will be live DJ's, light shows, bubble zones, neon and black lights, and even an after show! If you couldn't tell, there was one thing that connected each of these events together - live music. Summer is supposed to be a time to create memories, spend time outside with your friends and family, and to listen to some good music. So, get involved and make some memories. Enjoy this Sunday Funday by diving into what makes you gain a better sense of yourself! If you feel like you need a personal day to yourself, here's some tips! Identify your core values and morals that make up you. Stick to those values and do not settle for anything less than what you know you deserve. What fills you day? What are those special hobbies, passions or ideas that really makes you feel one with yourself? With a stressful week, take some time out of your day to explore your hobbies to make you feel at peace. How do you carry your energy, more introverted or extroverted? If you stay more to yourself, don't be afraid to go out to socialize every once in a while. If you more outgoing, take some time to be with yourself like going for a walk. Either way knowing how you interact makes a huge difference into finding what makes you jive. Whats your routine? Do you stay up late or go to bed early? Rather work in the morning than night? Understanding your personal schedule helps to understand where you focus your energy. Also, to get in tuned with your biology as well. What is your dream or your purpose in life? What do you think your most meaningful moments were? Do not be afraid to chase after those dreams no matter how big or small the world may think it is. For you, your goals are the one of the important things because they can make you stand out from everyone else. Don't keep yourself confined to the small box that society pushing you into. Stay creative, confident and bold and do not give up on yourself! In my honest opinion, the 70's had the best fashion trends. Some of my favorite trends are platforms, high waisted jeans, bell bottoms, corduroy and peasant tops. These 70's trends are popular in present day fashion and I could not be happier. A lot of people are wearing clothes that women in the 70's were wearing without even knowing it. As people are afraid to step out of their comfort zones with fashion, I am here to help you rock the present day 70's trends! This is such a fun and trendy look. She is wearing high waisted corduroy pants with a tied crop top. If this isn't 70's, I don't know what is! She is also wearing a hair scarf and colored lens sunglasses. Every single piece in this look can be found at any Fast Fashion or moderately priced fashion retailer since they are all trendy pieces!. The top and bottom pieces are both pieces that could have been found wearing in the 70's. Yet, they are so modernized and updated to keep fashion guru's excited. These bell bottom cloth pants are SO popular. You can honestly find them anywhere in any color. You can rock these pants with a pair of Birkenstocks or a pair of platform sandals. The top is also an easy find, it has the ruffles that were found in the 70's but can be found in any major retail store! Throw a cute pair of round sunglasses and you are good to go! Denim on denim, say what! Not only was denim on denim popular but so was patchwork. Both of those trends are popular today. I wear denim jackets with denim skirts all the time and it is such a fun look. Also, patchwork is hard to come by in retail stores because it is expensive to make. It is more in the moderate budget fashion retailers such as Madwell. I love both the patchwork look and the denim on denim look because it is not something people would typically wear, but anyone can make it look cute with some fun shoes and accessories! 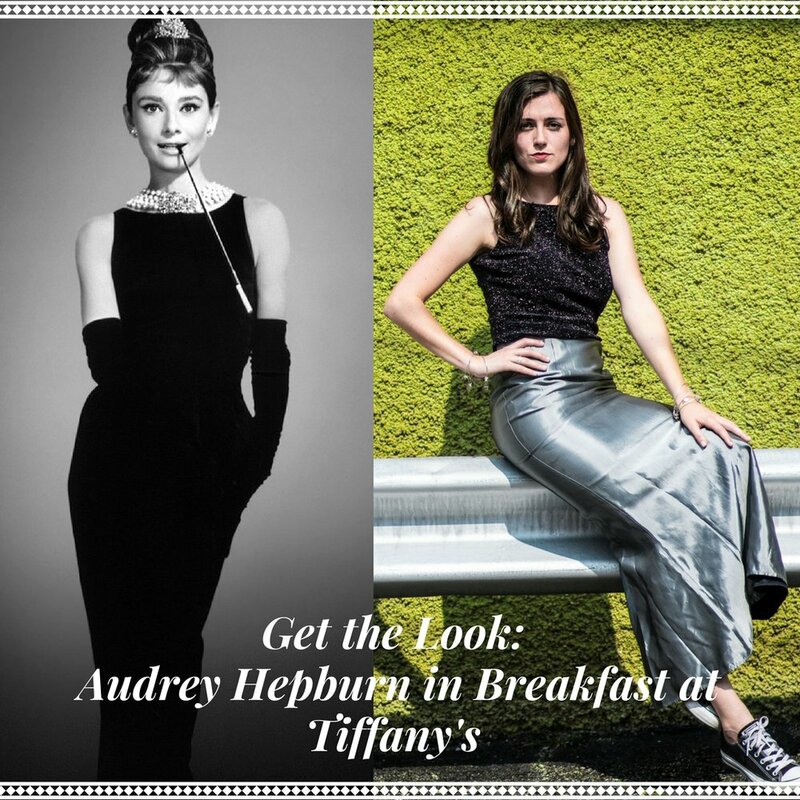 These looks are so attainable and easy to find. Next time you are shopping find a cute 70's inspired outfit and show it off! This holiday season, prestige makeup companies are going all out on their seasonal packaging! From brows to palettes, companies such as Too Faced and Benefit Beauty have taken product design to the next level. Because of our love of the holiday season and the upcoming sales in the near future, here are 5 amazingly designed holiday sets perfect for the fashionista’s Christmas List! 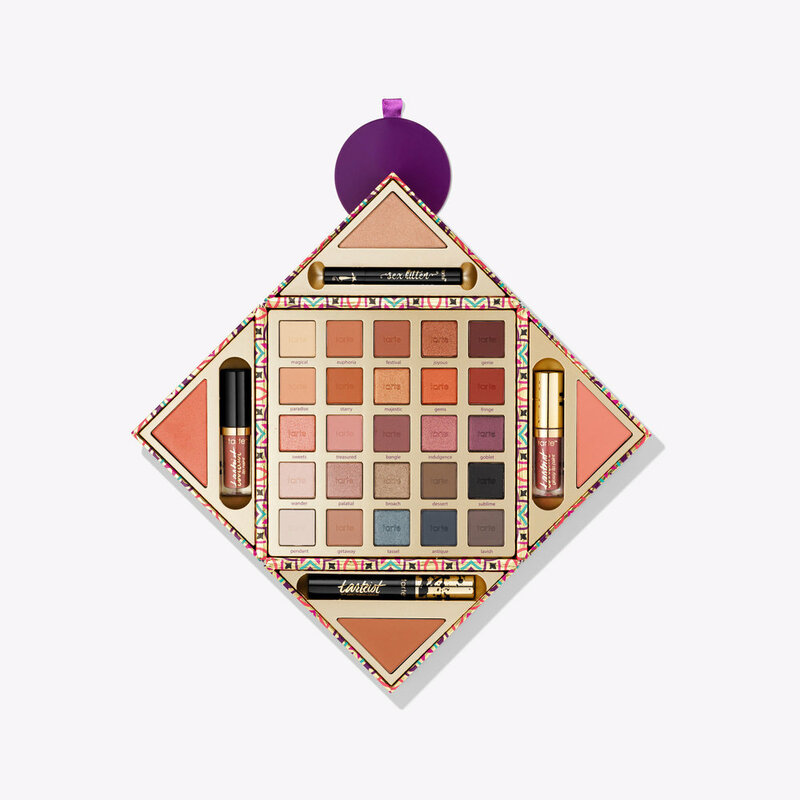 Whether you are buying this eyeshadow palette for yourself or splitting it among friends, this holiday set will get your New Year’s Resolution in check before 2018 even starts! 25 days until Christmas in December, 25 fabulously lip shades just waiting to be opened and enjoyed! Can you wait for your makeup surprise each day or will you open them all at once? Complete with 25 eyeshadows, two lip colors, a mascara, and an eyeliner, this magical box of holiday cheer is the perfect gift for someone who can do it all from one palette! Benefit Beauty has created gift packaging that is leaving other prestige brands in the dust...Snow Globes! 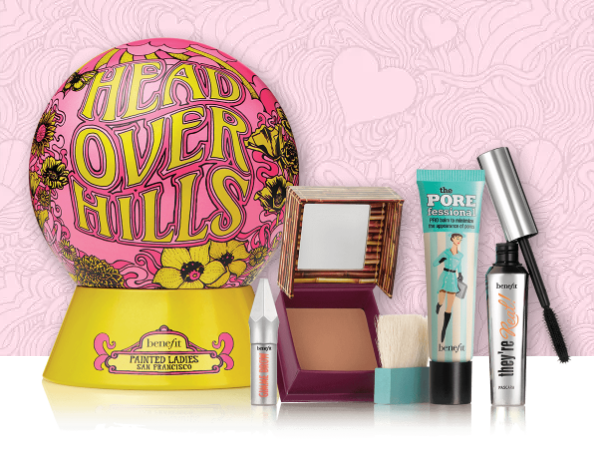 Benefit has released a few options for the makeup addict to purchase that comes complete with 3-4 Benefit beauty products such as their Sun Beam highlighter and brow pencils. 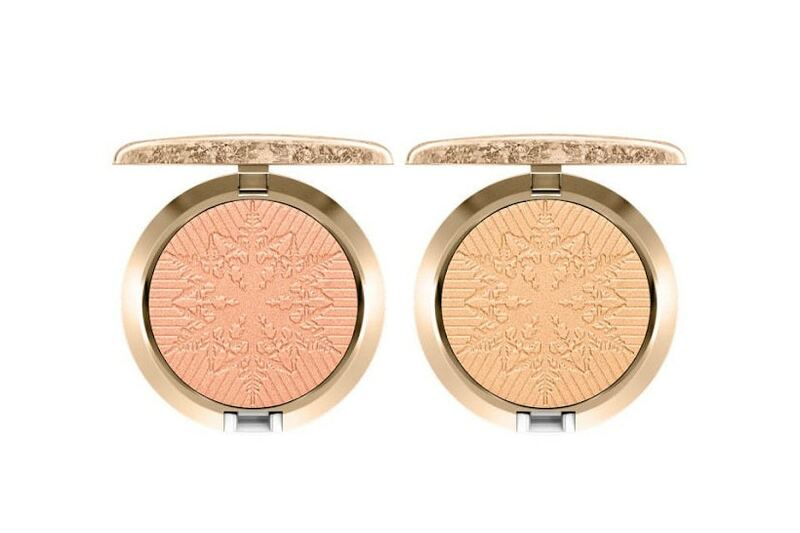 What should you look forward too from Mac Cosmetics? Glitter and tons of it! Mac released a set of snow-themed holiday products such as makeup bags, brushed, lippies, and eyeshadows that are perfectly pretty in their gold and silver glitter sets. Spending the summer semester traveling across Europe is the dream of any college student and this summer I was lucky enough to make that dream a reality. While studying photography and urbanism at Univerzita Karlova in Prague, Czech Republic, I used my six weeks overseas as the basis of the greatest adventure of my lifetime! After a wealth of time researching flights costs and bus routes, I managed to plan an ultimate excursion that allowed me to visit 9 countries during my stay! 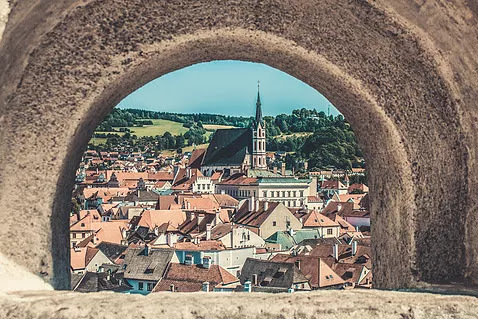 I must admit, it was quite difficult choosing which countries and cities to visit in my free time abroad, therefore I thought I’d make a few suggestions of Must-Sees for those planning on traveling or studying in Eastern Europe as well! My 8 Must-See Locations of Eastern Europe cover five countries and are well worth the visit! A UNESCO World Heritage site and a current Guinness World Record holder for the largest castle complex in the world, Prague castle stands proudly overlooking the vast cityscape of Prague. Construction began in 880 and it has survived practically unscathed by war since then. Because of this and it's fantastic beauty, it also acts as the home of the Czech President. Prague Castle is placed at #10 on my list of Must-Sees not because of its castle-like attributes, though, but instead because of its view. Prague Castle and the surrounding area has many lookouts and scenic spots that are perfect for an afternoon picnic or a quick selfie. The radiant rooftops of burnt reds and oranges are quite the site when gazing from above. The Prague Castle grounds also allow for an up close glimpse at Gothic stylings of St. Vitus Cathedral. What most travelers do not realize, and is essential to navigating the city, is that Budapest is actually broken up into two parts. The first part being Buda and Pest. Buda is where the well-to-do citizens live and are full of lush, green landscapes, whereas Pest is the main city that resembles an older version of Brooklyn. If you find yourself in Budapest, I suggest you take note from my #9 Must-See by taking a calming river cruise to see both city portions together as a whole. Being that Budapest lies on the Danube River, cruises are plentiful and fairly cheap. 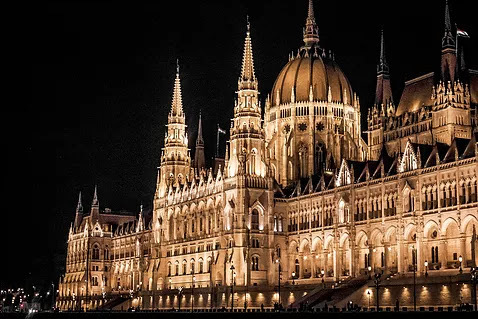 I recommend choosing a night cruise while in Budapest so you can glimpse the elegant architecture of the Hungarian Parliament Building lit up in gold as well. My #8 Must-See of Eastern Europe lies in a simple street performance that can bring back childhood whimsy, The Bubble Blowers of Prague. These performers spend their days blowing bubbles galore. Bubbles fill the streets, families play in their paths, and joy fills your heart with something so trivial. If you need a few spare chuckles after a long flight, go watch the Bubble Blowers of Prague and allow them to bring a smile to your lips. Located in Ghent, Belgium, Gravensteen Castle was first built in 1180. Due to its Middle Ages sense of style, Gravensteen Castle makes #7 on my Must-See list! Because Gravensteen sat abandoned numerous times during the centuries, exploring the partial ruins brings you back in time to the era of the crusades. The Strahov Monastery is located a short walk from Prague Castle, therefore you can take Tram 22 from the city square to its last stop to get there. Once on the monastery grounds, head straight for the Strahov Library! The Strahov Library is arguably the most ravishing library in Europe as a whole. With 250,000 books dating back to the 12th century, it is easy to fall in love with. Entering the first library chamber you will see the dual floor space packing with versed books, but it is the globe room that is really why the Strahov Library was including on my Must-See list. The room of the globes has a handcrafted ceiling covered in murals. Each small work can tell a portion of the larger story, but it is the room as a whole that acts as a room from a fantasy. If you are wishing to visit a village that looks as if it is straight from the Renaissance, look no further than Cesky Krumlov. Cesky Krumlov is located in the southern section of Bohemia in the Czech Republic and acts as a living time capsule. Travelers can walk the cobblestone streets for the views as well as the small shops selling handmade Czech crafts giving it a set spot on my Must-See list. A personal highlight of my trip to Cesky Krumlov was climbing the castle tower. As one ascends the steps, the tower narrows into a one person pathway. Once atop the tower, you can see all of Cesky Krumlov and most of Bohemia! A sure cardio workout, but well worth the effort. My final Must-See is my personal favorite: Lake Zurich Switzerland. This large waterscape in the north of Switzerland is a great place to see the sporty sailboats cruising on the clear, blue waters. Another key positive for Lake Zurich is its views of the Alps. Not only are the snow topped mountains in sight in most of the city of Zurich as a whole, but they also are easily accessible by train from the city. I spent a great deal of my time in Zurich hiking the Swiss Alps. This was a major highlight of my trip and should be on a trek on your travels as well. Well look no further than CHC for all your back-to-school wardrobe needs. We're excited to announce that we now offer a Back to School Customize-able Box! Whether you hate shopping or just want to spice things up a bit, our Back-To-School Box is perfect for you. Each box is styled and curated exactly to your taste. With pieces that are as unique and one-of-a-kind as you are! Added perk? FREE US Shipping. How fun is that?! Don't like a piece? No worries. Our items are returnable and eligible for replacements! (In compliance to our return policy, of course). We hope you take the opportunity to check out this fun and unique box. You'll be sure to head back to school in style! 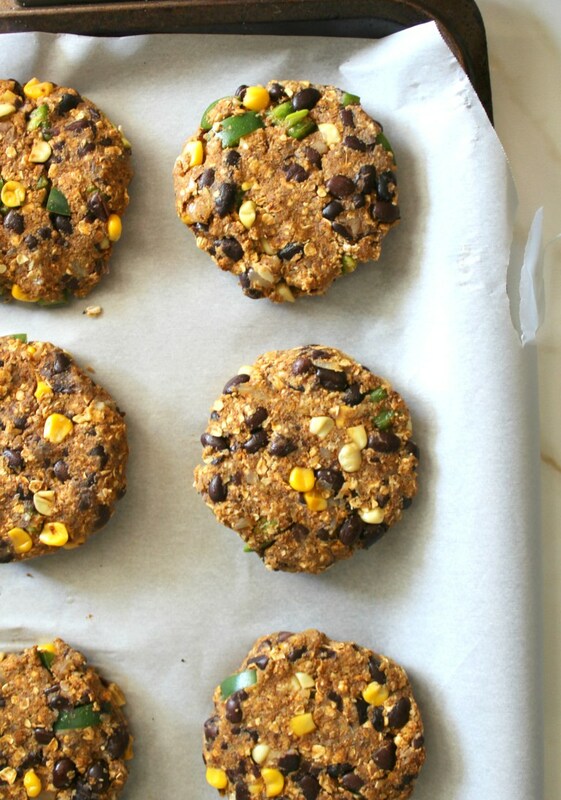 We hope you enjoyed these recipes! Make sure to come check out our tent TOMORROW at VegFest 2017! We're excited to be attending Pittsburgh's 3rd Annual VegFest of 2017! Sponsored by Justice For Animals, this FREE ADMISSION event will include great music, shopping, yoga demos, food, speakers and much much more! Plus, check out some awesome vintage & vegan-friendly clothes at our tent! Click on the logo below to go to the official Pittsburgh VegFest website.